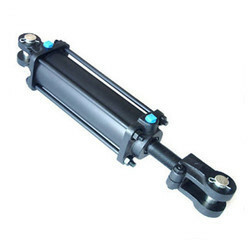 Our product range includes a wide range of hydraulic cylinder. We bring to you high strength hydraulic cylinders and power packs which are manufactured in accordance with the best industry standards and are rigorously tested resulting in high performance and reliability. Type Of Cylinders: Double acting, single acting, double ended ram, single ended ram type of cylinders and customized cylinders.